3 Surrey Police told the Daily Mail on Saturday (13 January): “We were called to an address in Cobbett Hill Road, Normandy, Guildford, on Monday following a report of a man in his 50s having been taken unwell, who subsequently died. The death is being treated as unexplained and a file will be passed to the coroner's office in due course”. 7 A quantity of blood was found at his home. We also wrote this. Bolded below are the things we now know. Unbolded are the things we still do not know. 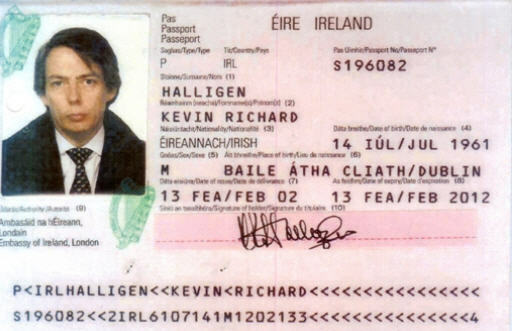 We are now told that Kevin Halligen’s real name is RICHARD POWELL, not Kevin Richard Halligen. That - Richard Powell - was his ‘given name’ at the inquest, and we must assume is his real birth name. We assume that a valid birth certificate was produced to the Coroner. So presumably was that also a completely fake ID, along with all the other ones. But why did Powell – or did someone else? – want himself to be known under a different name? Verdi: “Halligen's company Red Defence International was registered to an address on Cobbett Hill Road, as reported in the articles as to where he was, when an ambulance was called”. “It could very well be described as a mansion and apparently was turned into 4 flats at some point, so he may have lived in one whilst other people occupied the remaining flats. “The reported location of Halligen's death was Henley House, Cobbett Hill Road, Normandy, Surrey - whether that's his property or his girlfriend's is yet to be determined. Media report: The deal was for the so-called Operation Omega where Mr Exton ran an undercover team in Praia da Luz on the Algarve. MMRG COMMENT: CMOMM and MMRG and many others are in agreement that Madeleine died on Sunday, or possibly early on Monday. Claims that Madeleine was seen, dead, and being carried down to the beach do not accord with our views and we reject this claim. If Madeleine died on Sunday, the Smiths’ report was at best a very amazing coincidence or, as we think far more likely: fake news. MMRG COMMENT: This is when (unless there is another adjournment), the real inquest will happen. The proceedings last Wednesday (24 January) were merely a procedural opening of the case: name of deceased, date of death, report of pathologist’s opinion, cause of death if known, short report from police saying their investigations are continuing. Polyenne: Did he fall or was he pushed? "A private detective who had been accused of exploiting the search for Madeleine McCann to fund his lavish lifestyle died of brain haemorrhage, an inquest has heard. The body of Kevin Halligen - described as a "James Bond-style" investigator - was found at his secluded mansion in Surrey earlier this month. Mystery surrounded the 56-year-old's death, with reports he had been discovered covered in blood and that detectives had launched a probe. But today, Woking Coroner's Court heard that a post-mortem examination showed Mr Halligen's cause of death was acute subdural haemorrhage. The court was told a pathologist said there was "no sign of an assault"
Mr Halligen gained notoriety when his firm, Oakley International, was used by Madeleine's parents to help search for their missing daughter. The court heard that paramedics were called to the private detective's home in Normandy on January 8, where they performed CPR. Despite their efforts, he could not be saved. His death was reported to the coroner under the name of Richard Powell, and the court heard he is also known as Kevin Richard Halligen, Richard Halligen and Kevin Patrick Halligan. His occupation was given as "intelligence and security officer.....". Pathologist says there was no sign of an assault. someone who was actively involved in the continuing cover-up of what really happened to Madeleine McCann. Those circumstances cast doubt on whether we are likely to get the truth, even at an inquest. There may be other possibilities. NickE: Is this how inquests usually work? A pathologist isn't there personally but the inquest is told a summary of what they concluded? MMRG COMMENT: Yes, this is exactly what happens when an inquest is opened. At the full inquest (listed for 2 July), the pathologist will be present. He can be cross-examined by the Coroner or anyone else e.g. the deceased’s family, or the police. It is common in cases where the death is unexplained for the Coroner to obtain a second or even third pathologists’ report. Tony Bennett has reported elsewhere on the forum that five different pathologists gave their opinions on the cause of Stuart Lubbock’s death. Verdi: According to press reports, Halligen's death was reported to Associated Press by Adrian Gatton. MMRG COMMENT: His active role in promoting the death to the media, and his adding to that, that the cause of death was basically ‘his lies and alcohol catching up with him, is very suspicious. Verdi: The report concentrated almost entirely on Halligen's dealings with the Find Madeleine (McCann) Fund .Co. Ltd.
Squandering half a million or so from the Madeleine Fund was nothing in comparison to Halligen's past heinous crimes. If the McCanns and their representatives has been on top of the contract with Oakley International, they would have known full well that the 'company' was not fulfilling its contractual remit. According to Kate McCann's book 'madeleine', an independent consultant was employed by the fund to liaise with Oakley and oversee the work they were doing. According to the press report, the Surrey police were called to the property where a man had fallen ill and later died. They, the police, said the death was unexplained and they would be preparing a report for the coroner. Here I ask - is it usual to call the police because someone had fallen ill and subsequently died, isn't more sensible to call the paramedics? As far as I'm aware the UK police don't respond to calls reporting an illness, even if the person later died - unless of course the circumstances are suspicious. So again I ask - what game is Adrian Gatton playing. Adrian Gatton who, coincidently, produced the 'McCanns and the Conman' abduction documentary, mysteriously reporting the death of the conman Kevin Halligen and centering the report around the McCanns. MMRG COMMENT: We also ask what game Adrian Gatton is playing. It must not be assumed that these are always accurate. Several pathologists may give several different opinions on the cause of death. Likewise, toxicologists may interpret raw data differently. But perhaps even more important, it must not be assumed that every pathologist and every toxicologist is scrupulously honest. There is corruption in all walks of life - politicians, doctors, teachers, church ministers and, yes, pathologists and toxicologists. There are proven cases of corrupt pathology opinions. Many fellow pathologists suspect that the pathologist who certified the death of Dr David Kelly was either dishonest or plain wrong. Going back to the Stuart Lubbock case, we know from Tony’s reports that the first pathologist claimed that Stuart had been ‘drowned’. We all now know that the almost certain cause of death was a violent sexual assault on him. Well, be that as it may, we wish for justice at the inquest for Kevin Halligen. 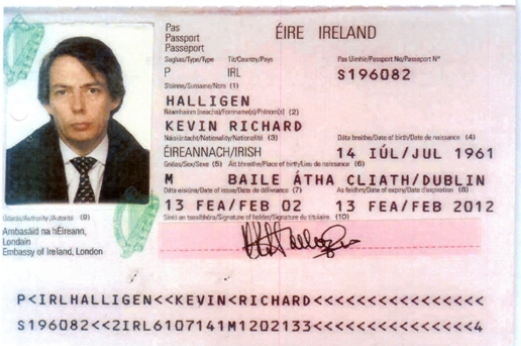 "We are now told that Kevin Halligen’s real name is RICHARD POWELL, not Kevin Richard Halligen. That - Richard Powell - was his ‘given name’ at the inquest, and we must assume is his real birth name. We assume that a valid birth certificate was produced to the Coroner"
I don't think that necessarily follows. Anyone can change their name by deed poll. So he may have done that recently, or in the last few years and then changed his ID to match his new name. His birth name could still have been 'Kevin Halligen'. Just to add to the confusion - the property! Here are a few property agents that have The Beeches listed and valued according to market trends - Guildford, Surrey has for many years been a very desirable location, which would significantly affect the price range in the region.. The property you are viewing is located at The Beeches, Henley Park, Cobbett Hill Road, Normandy, Guildford GU3 2BZ. This is a Property with an estimated value of £613,968. The average value of properties on Henley Park, Cobbett Hill Road, Normandy, Guildford, GU3 is £918,475 while the overall average value of properties in GU3 is £600,123. Over the past 5 years, the average sold price of properties in Henley Park, Cobbett Hill Road, Normandy, Guildford, GU3 is £558,333 and the average rent in the GU3 area is £2976 pcm. The thing that stands out for me is the fact that the property is described as terraced and a new build. Hardly descriptive of the image shown on the 'Where is Kevin Halligen' website. Then again, this is the same property as pictured on the 'Where is Kevin Halligen' website ..
Whatever, Henley Park would appear to be a micro-housing estate in the more up-market end of town. The imposing gateway and drive featured in the Surrey News press report, is a communal entrance for the estate, not exclusively the driveway to Halligen's abode, as the report implies. Be it Hallgen's or his girlfriend's, it's clear to me at least, that The Beeches is a terraced new-build, which somehow takes the gilding off it's assumed grandeur. @ChippyM wrote: "We are now told that Kevin Halligen’s real name is RICHARD POWELL, not Kevin Richard Halligen. I read it as Richard Powell was the name given, or provided, to the coroner. This may or may not be his real name. Hopefully, things will be clearer in July. I don't think anything should be assumed. The Georgian mansion ( thomas Sherriff place) is split into 2 or more 'wings'. The estate agent is still describing it as terraced, even though it's a 1.295 million Georgian property. I think that just shows that estate agents are lazy and a bit thick! Grade II listed, historic Georgian wing "
There are also as you say, lower priced properties on the estate. ( Bungalows, Terraced houses) It's impossible to say which property he lived in. Sorry, should have made it clearer, I was quoting what Get em said. I agree we can't assume the name given the the coroner's court was his birth name. Sorry, ChippyM, for confusion. I was agreeing with you, and also responding to Jill's post! @ChippyM wrote: The Georgian mansion ( thomas Sherriff place) is split into 2 or more 'wings'. The estate agent is still describing it as terraced, even though it's a 1.295 million Georgian property. I think that just shows that estate agents are lazy and a bit thick! My point is, Thomas Sheriff Place is not, nor has anything to do with, The Beeches said to have been occupied by Kevin Halligen. I can't see where this information comes from apart from the 'Where is Kevin Halligen' website - which accounts for nothing in the grand scheme of things. Firstly the illustration of the Georgian property, Thomas Sheriff Place, can no way be described as having wings, unless of course there's something at the rear that cannot be seen. To suggest such an imposing property is a terraced new-build is just flying in the face of reason. Even if there is a more recently built extension, which from the photograph clearly there isn't, it wouldn't be described as a terraced new-build. I venture to suggest, this is most definitely not the property occupied by Kevin Halligen. An apartment or wing of a Georgian mansion in a sought after area of Surrey valued at about £200,000? I don't think so! Disregarding press reports and other unsubstantiated rumour, where does this information about Kevin Halligen's body being recorded by the Surrey Coroner in the name of Richard Powell come from? Is it an official source? According to the 'Where is Kevin Halligen' website, that claims Halligen lived in a Georgian mansion, I quote..
"Since August 1999, Julia Lynne POWELL has lived at this address. Powell is believed to be one of - or former - Halligen's girlfriend." Is this where the name Powell comes from? He may have had many aliases but personally, I believe his true name was Kevin Richard Halligen. Time to take a step back from the subject until such times as something official is forthcoming - if ever. All this supposition is creating confusion. Who knows what Adrian Gatton is up to - he seems to be the pivotal force behind this crazy development. Maybe this body that's lying in the morgue awaiting a coroner's inquest is really the husband of Julia Lynne Powell and not Kevin Halligen. Just a thought! So let's see: we have had 'The Untold Story' busy being untold, Sergey Meerkat's 'Calamitous Damage' in the same Room 101, Adrian Gatton tat on Kevin Halligen-lamp, the forthcoming Netflix McPromotion and the much awasted awaited Gem from O'Doherty. Firstly the illustration of the Georgian property, Thomas Sheriff Place, can no way be described as having wings, nor is there any indication that it's been divided into separate apartments. To suggest such an imposing property is a terraced new-build is just flying in the face of reason. Even if there is a more recently built extension, which from the photograph clearly there isn't, it wouldn't be described as a terraced new-build. Thomas Sheriff Place definitely has wings and was split into more than one residence. In the estate agents description that I quoted, they describe it in the same listing as a terraced property but also 'a wing' of a Georgian house with 5 bedrooms and it is priced at 1.2 million. I didn't get that from thin air. "For ten years the mansion passed from developer to developer before it was bought by Heritage Renovations in 1992 who finally returned Henley Park to residential use - dividing the estate into 15 properties, with three 'apartments' in the original mansion - all of which sold in 1999. " It would seem the papers reported ( rightly or wrongly) he lived in a mansion as they have obviously just looked up the address and seen the picture of the Georgian house and decided he lived there. We don't know which property he lived in and neither do they. Anyway, as you say it doesn't have much to do with how the man died. @ChippyM wrote: Thomas Sheriff Place definitely has wings and was split into more than one residence. In the estate agents description that I quoted, they describe it in the same listing as a terraced property but also 'a wing' of a Georgian house with 5 bedrooms and it is priced at 1.2 million. I didn't get that from thin air. Yes ChippyM and I offer you my profound apologies, when I realised the mistake I edited my original post but you got in first. As a matter of interest, I googled Henley Park and found this which is interesting in itself, at least to me.. It would appear that Henley Park was originally an estate with a manor house and outbuildings with extensive land, so the whole estate has been redeveloped to provide 'luxury' accommodation. The Beeches however, if indeed it was occupied by Halligen, valued at around £200,000 must have been at the lower end of the market - a pigsty conversion maybe? I'm not so sure the the manor house itself has been converted into apartments - it wouldn't appear so from the photographs of the interior but I digress, as you say, it's got nothing to do with Halligen's death as such! Kevin Halligen is apparently dead and awaiting a coroners hearing - so we're told. I'm thinking the 200, 000 property could be a smaller apartment or house. One is a 5 bed and the others could be smaller, as the DM article says it was converted into 3 properties and it's a large property to begin with. It seems they all went up in value, trebled since the 1990s. So a £600,000 property in todays money, not a pigsty by any means. Who knows what deals may have been done to secure a cheaper price when bought? I personally didn't know that the Mccann's hire car was hired by Robert Murat in his wife's name. I don't necessarily believe everything. Looks like the video was made by someone who reads this forum. Richard Hall, Peter Hyatt, Tony and CMOMM all feature. Over 192k views in just a couple of weeks. At 16 mins in Birch appears; that took the integrity & fidelity down several notches. However, the narrator's observations of the Mcs "mechanical" behaviour was spot on, as was his observation of the parents treating Madeleine like an object, something we all have seen before. His disgust at Page 129 matches that of every decent person on the planet. The inclusion of the Podestas and Freud - no. Not that, please. Evidence of MBM in Murat's place - didn't think there was! "I personally didn't know that the Mccann's hire car was hired by Robert Murat in his wife's name." Nor me! I thought it was hired in Gerry's name - but with the wrong address on his licence. Nice inclusion of 4 of the Cmomm banner persons' quotes. Some good, some bad, a lot right, some wrong (child trafficking?) but sufficient for anyone new to the case to know that the 'official' narrative is one tremendous work of fiction and how deeply repugnant K & G are. Still no news on the Kevin Halligan/Richard Powell inquest date. I note that Surrey Coroners Court appears busy with a number of witnesses to the Sean Benton death at Deepcut (another disturbing story altogether) but I'd have thought that Halligan/Powell would have gone through by now. Unless it's been "whooshed" through covertly of course. I read on Adrian Gatton's twitter that it was adjourned until 2nd July. I've just had a look at the Surrey Coroner's upcoming hearings page which was updated today and Kevin Halligen's inquest, adjourned to 2nd July, is not listed during July. No news and nothing listed yet through to 13th August. @Doug D wrote: No news and nothing listed yet through to 13th August. Another two weeks gone since DougD's post and still no news about the Inquest on Kevin Halligen / Richard Powell. A common reason for such a delay is that there is an ongoing police investigation and that the police have not yet completed their enquiries. Another common reason is that the pathology evidence is disputed and that other pathologists have become involved and are doing their own post-mortems. Any delay could be due to either of those reasons, both of them, or neither of them; there could be other reasons. Kevin Halligen's profession was probably accurately described at the opening of the Inquest as: "Intelligence and Security Officer". With very little doubt, if Kevin Halligen/Richard Powell could have told us exactly why and on what terms he was employed by the McCanns and the Directors of the Find Madeleine Fund, and likewise if his sidekick Henri Exton could now do the same (and in addition tell us the REAL truth about those controversial 'Smithman' efits), the complete mystery of the disappearance of Madeleine McCann would surely be solved. Likewise if money-laundering expert Gary Hagland could do the same, and if retired Detective Sergeant Arthur Cowley would reverse his decision "to take the McCanns' secrets to my grave", we would all be a lot, lot wiser. Still nothing on this one, so I dropped the Coroners Office an e-mail asking for an update. Initially came back unable to assist, (my fault as I didn't specifically quote Powell as the name), but should get a response next week. so obviously still nothing has happened. 'A common reason for such a delay is that there is an ongoing police investigation and that the police have not yet completed their enquiries. Number 2 would surely have been resolved by now, so presumably the delay must be down to either (1) or (3). Hi DougD,thanks for your follow up of Mr Kevin Halligen-Mr Richard Pwell or Two other names? I think something is/has happened to the above named person or like Dr David Kelly No Post Mortem was required by the state,"Establishment" due to previous named illness the patient was suffering with? The sudden dis-interment of Dr David Kelly and Cremation renders any Post Mortems as useless,was this the "Establishment" taking necessary precautions as an act of kindness to Dr Kelly's family! The"Establishment" will conduct itself by whatever means necessary to assist special person's of interest in Madeleine McCann's disappearance s per the past Twelve yrs of obfuscation,but Why will not be answered? Mr Richard Powell, aka Mr Kevin Halligen has been reported as Deceased 8th January 2018 and Twelve months later No Post Mortem results or Disposal to a Coroners Office!